Cops Discounted Elliot Rodger's Family's Warnings! Home Editorials Cops Discounted Elliot Rodger’s Family’s Warnings! Cops Discounted Elliot Rodger’s Family’s Warnings! 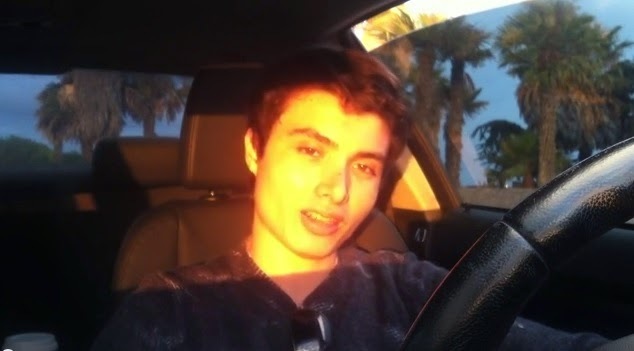 The police had multiple interactions with Elliot Rodger, the mass killer that stabbed and shot victims resulting in multiple deaths, but the most disturbing of all if they discounted Elliot’s own family’s warnings and concerns when they asked police to check on Elliot after they saw some of his rambling videos. Because he was “polite and courteous,” they simply did a cursory “welfare check” without bothering to watch the videos in question, which would have given them an idea of where this young man’s head was at and perhaps prevented his death and those of the victims he slaughtered in a planned, premeditated killing spree. More from CBS New York in the video below as well as Rodger’s manifesto below the video where he describes the police welfare check and how he thought at the time someone was on to his plans. “I had the striking and devastating fear that someone had somehow discovered what I was planning to do,and reported me for it. If that was the case the police would have searched my room…. found all of my guns and weapons, along with my writings about what I plan to do..” – From My Twisted World, Elliot Rodger’s manifesto.